9273 Major and former RSM Harry Cyril Good, DCM was born in 1888 in Belleville, Ontario, Canada, son of Thomas Good and Rose Schamrhorn. At the time of his enrollment into the 3rd (Toronto) Battalion Canadian Expeditionary Force in Valcartier on 22 Sep 1914 he was a Printer and had 5 years prior service in the Queen’s Own Rifles. He was Church of England and lived with his mother at 162 Cowan Ave, Toronto. 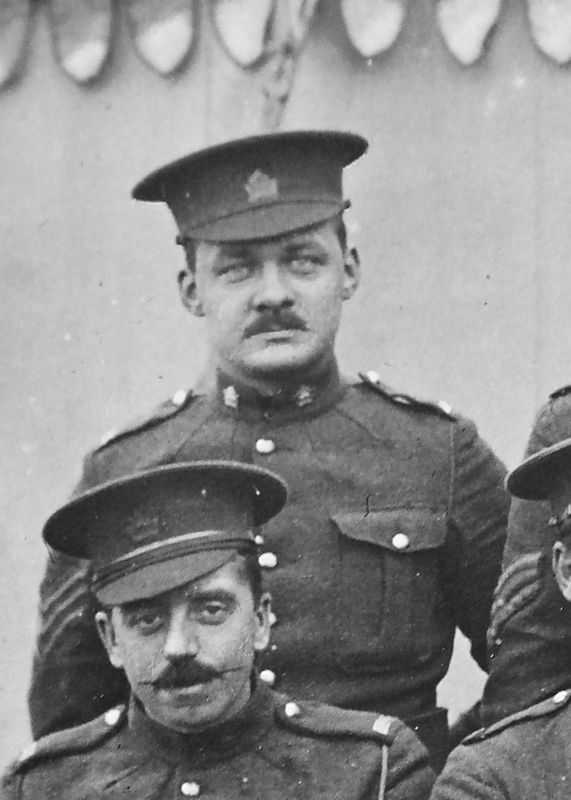 Shortly before the 3rd Battalion departed England for France in February of 1915 Good was promoted to Sgt. Much of February and March was spent between training and in the trenches with some casualties from enemy artillery. The Battalion’s first major engagement was the battle at St. Julien which started 23 April and saw two Companies under command of Major Kirkpatrick make a heroic stand against a determined German attack but eventually being outflanked and taken as prisoners. By 20 June Good was appointed as Company Sergeant Major (CSM) possibly replacing CSM Pratt of “A” Coy who accidentally drowned in a canal on 5 June. In April of 1916 Regimental Sergeant Major (RSM) Cooper was commissioned to Lieutenant and Good replaced him as RSM. On 1 November 1916 Good was commissioned to Lieutenant and posted to “C” Company. In January of 1917 Good was awarded the Distinguished Conduct Medal, in April he was promoted to Captain and in August he was granted leave to Canada. His leave in Canada was extended and by December 1917 he was promoted to Major and posted to 1 COR, he served in Canada until he was demobilized in July 1919. On 29 June 1925 he married Edith Rooney.